Located in trendsetting Georgetown, Everard’s Clothing is a specialized full-service boutique that outfits some of the world’s most prestigious men and women. With a knack for detecting soon-trending fashions from exclusive designers and manufacturers around the globe, hard to find pieces can often be found at our boutique. 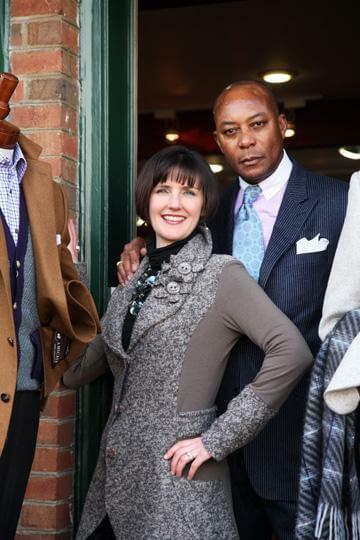 Everard’s is a family-owned business run by husband and wife team, Louis & Jennifer Everard. The business was inspired by Louis’ upbringing in a tailor shop in Jamaica, followed by nearly 20 years working for Bloomingdales. The business began in 1993 as a made to measure business. The Georgetown store opened in 1999 and features a wide selection of men’s and women’s clothing with each piece personally selected by the owners. Men’s selections include Hickey Freeman and Southwick clothing as well as our own custom and made to measure designs. A vast array of shirts including handmade shirts from Italy and unique accessories are popular additions to any style. 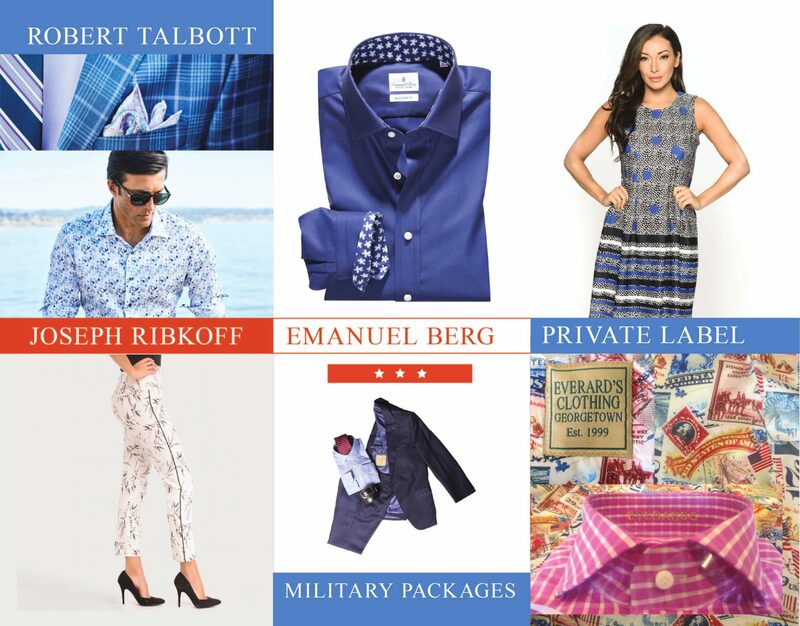 Women’s designs offer looks from Joseph Ribkoff, Anatomie, Jude Connally, Samuel Dong and more. Our style is classic with a twist, and we can style you for day to evening events. Sought after for wedding attire as well as high-profile events, Everard’s provides custom and special order services for occasions of any scale. Tailoring and alterations are available on premises. Founded in 1999, Everard’s provides a local, family-owned and run experience, with sophisticated, high-end selections. The boutique remains active in the Georgetown and DC community and prides itself on personalized and unsurpassed quality and service. A visit to Everard’s Clothing is a unique shopping experience. Customer feedback is the lifeblood of our business. Tell us what’s on your mind – good or bad.